Membership of the Club for the season starting in May 2019 costs £60.00. Junior Membership (under 16) costs £10.00. Members wishing to join mid season can usually be accommodated at a slightly lower rate or may pay per session at the visitors' fee of £3.00. The Club is grateful for sponsorship from the Cromarty Trust for the 2018 season. This sponsorship enables the Club to offer a free membership for the season to a number of junior members. 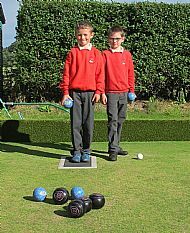 Junior members are made very welcome at the Club: there are sets of bowls to borrow and free coaching from the more experienced members. Please contact the Membershio Secretary (see below) to apply for free membership for a junior player. Visitors are always welcome. The clubhouse is normally open for play on Friday afternoons from 2pm; Sunday afternoons from 2.00pm; and Wednesday evenings from 7pm. Visitors who wish to play at other times should contact the President, Vice President or Secretary (see Address and Contact page on the left hand menu) to arrange for the clubhouse to be open. Visitors' fees are £3.00 per game. You can also hire a locker in the clubhouse. Lockers cost £5 for one season. You can contact Membership Secretary, Pam Thompson, at fraser_thompson@btinternet.com and she will advise on payment arrangements. 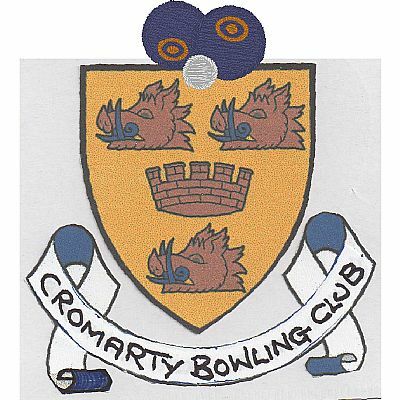 Our membership programme is supported by the Cromarty Trust with a donation of £300 for the 2019 season. Our Members Privacy Notice can be read here by clicking on the link.